My loyal 34th Street tipster (hey, Intern Craig!) 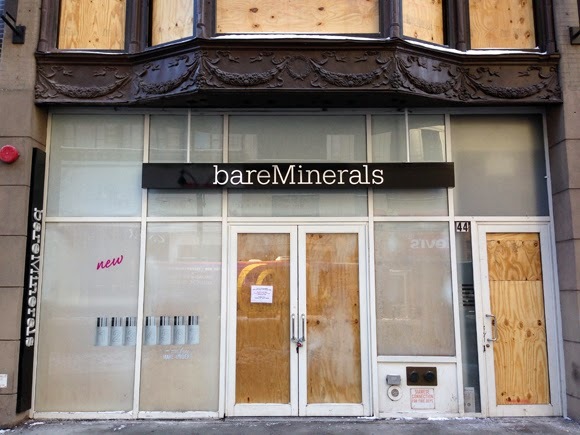 last week alerted me to the shuttering of the bareMinerals boutique located at 44 West 34th Street between Fifth and Sixth Avenues. And it's not just bareMinerals. It appears there was a fire in the building and the entire space is now empty. We hope all the tenants are OK, and the building will be back on its feet soon for all its occupants. 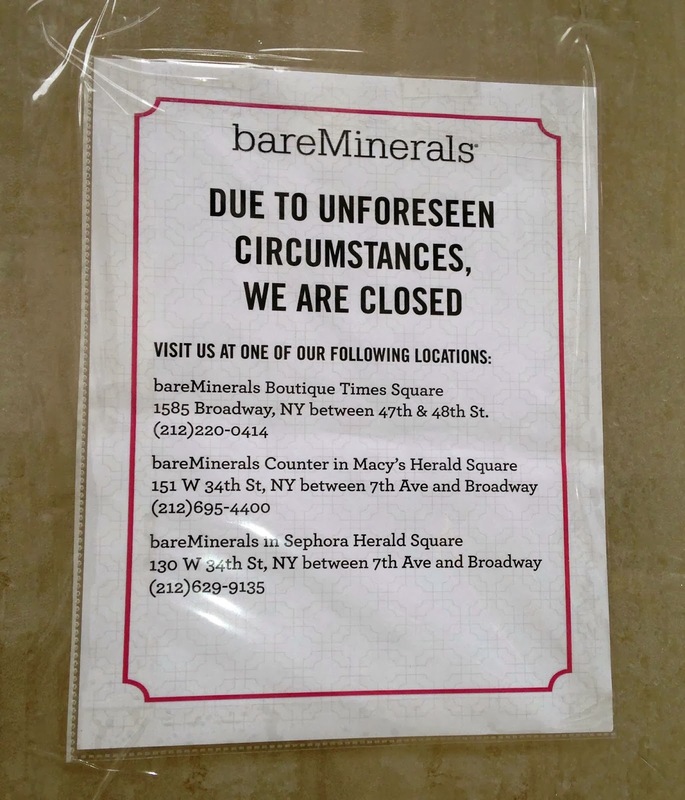 Until then, there are several other bareMinerals options nearby, as outlined in their sign on the door below.